I found this book on a clearance shelf at an Antiques Centre quite a while ago. It was a steal for £1. Published in 1976 the fashion shots in particular are comically dated. 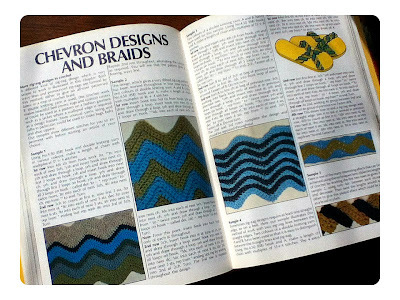 I was just a knitter at the time so I didn't even bother reading the crochet section. 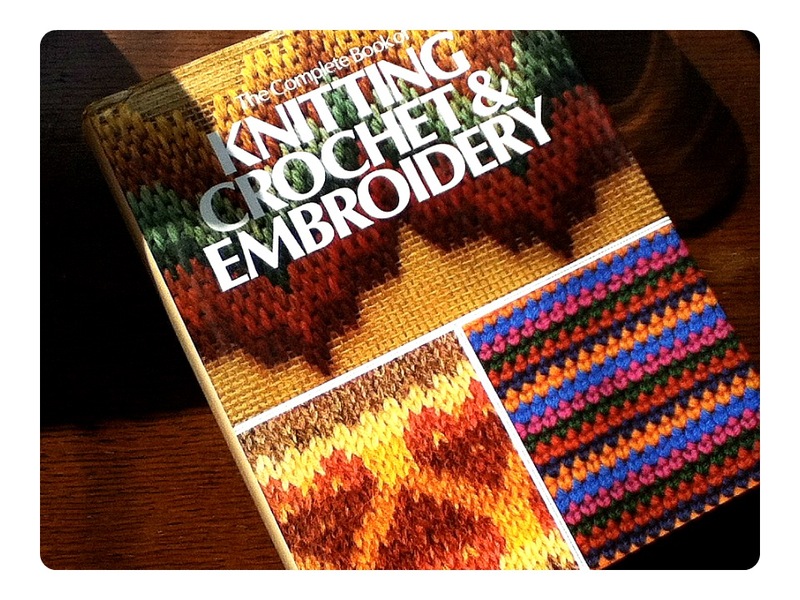 This morning the word 'crochet' on my shelf of knitting books caught my eye, and being the organised person that I am (or would like to be) I realised that this book should now be among my crochet books, since I have largely abandoned knitting and can't get enough crochet inspiration. They really knew how to make clear and concise craft books in those days, I don't even have to get my reading specs out to get the instructions in focus! 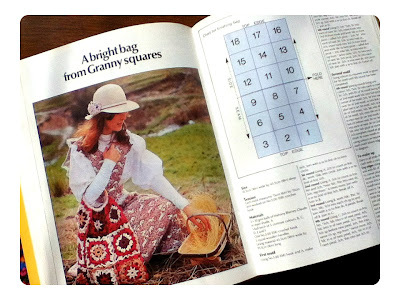 The clothes may have dated but the colours of this bag wouldn't look out of place in a crochet magazine today. Though the language may need updating if they were to reissue this book. 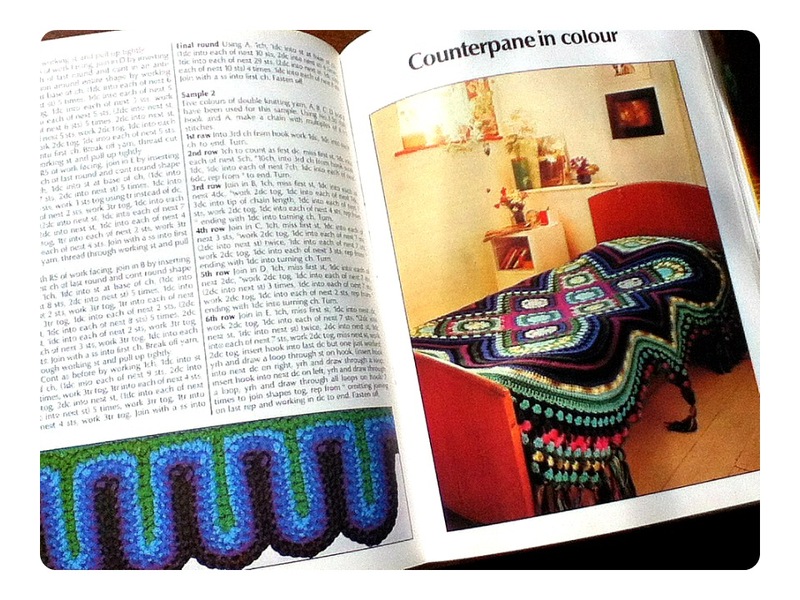 I don't think the word 'counterpane' is used so much these days. 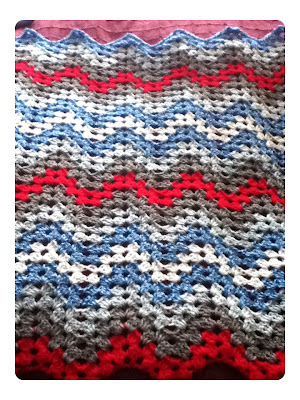 ...and what we all know as a ripple was probably known as chevrons or zig zags back then. It's quite a comprehensive section and includes irish crochet, aran crochet, lace crochet, tunisian crochet, edgings, fastenings, you name it! It would be even further on if I hadn't had to unravel 5 rows! Yes 5 whole rows! 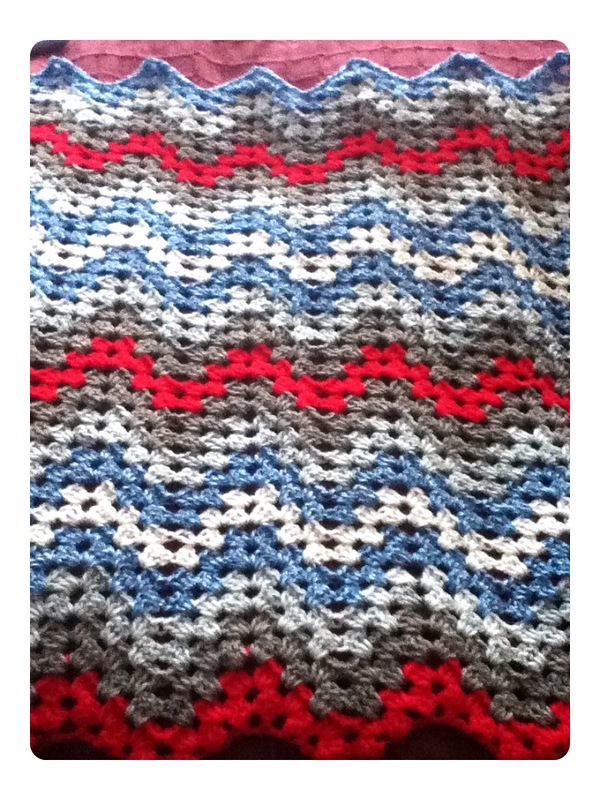 I guess that was something to do with crocheting in a hotel room with 3 other people, a dog and a television distracting me - I crocheted a treble cluster into a space I was supposed to skip. I'm being a lot more careful about that now! Fabulous Book! 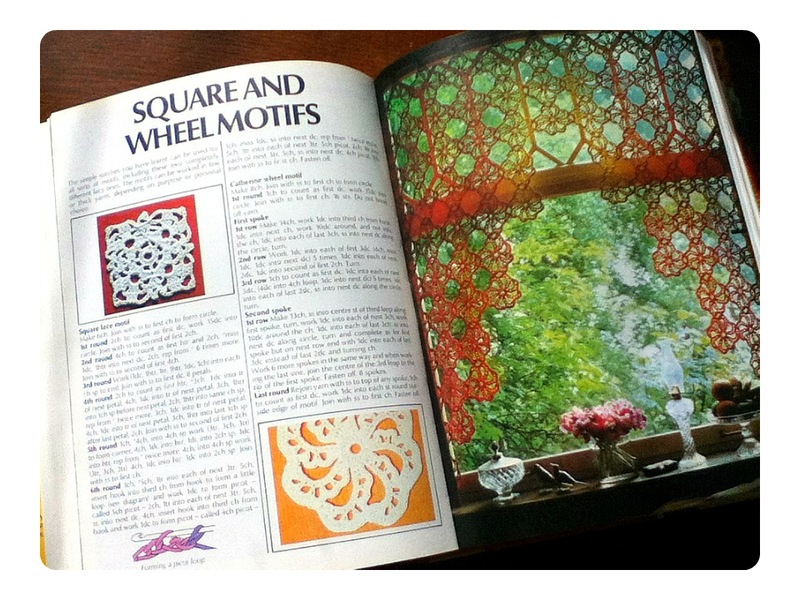 I just recently utilized a book from 1976 that I had never used before. '76 must have been a crafty year. I bet it was - the height of fashion for macrame pot hanging things too! Yes I quite agree. Sounds like a word they'd use in Downton Abbey! Could you be persuaded to tell me the ISBN number of that book please? It's available very cheaply on Amazon.co.uk but I've no idea what overseas shipping would cost. Thank you very much. Luckily I don't need to pay overseas shipping as I live in Sussex (the other end). Just to say I got the book today and it's lovely. I agree that the fashions have dated, but there are some nice ideas in the crochet section that more than make up for it. Also I know nothing whatever about embroidery, so it's a bonus that this book will give me a good introduction to the craft. I got it for 1p + £2.80 p&p from Amazon and it's well worth it. Thanks for the tip!